Space-saving hybrid designs are getting more and more common. 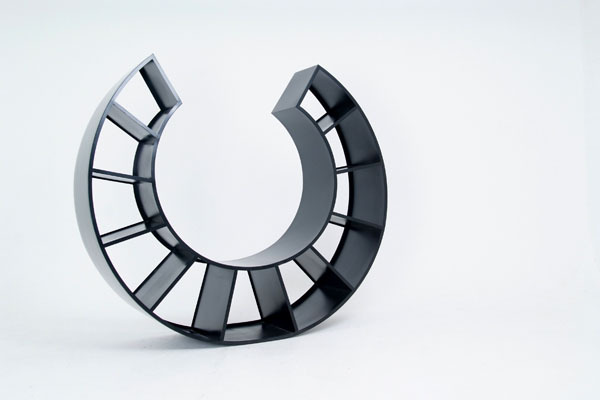 Combining two or more furniture pieces together designers come up with a one multifunctional piece that is both interesting and creative. 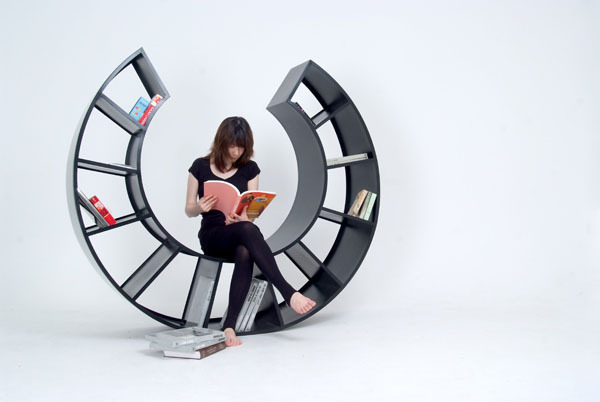 The Motion bookshelf designed by Hyunjin Seo is also a rocking lounge chair for reading. 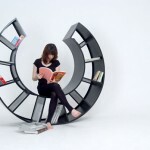 The Motion bookshelf is both a comfy rocking seat and a storage space for books. 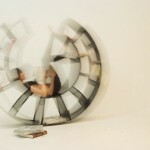 Its rounded shape allows it to move almost like a wheel so the rocking effect is achieved. The shelves inside the spherical bookcase are spacious and would house a lot of books. 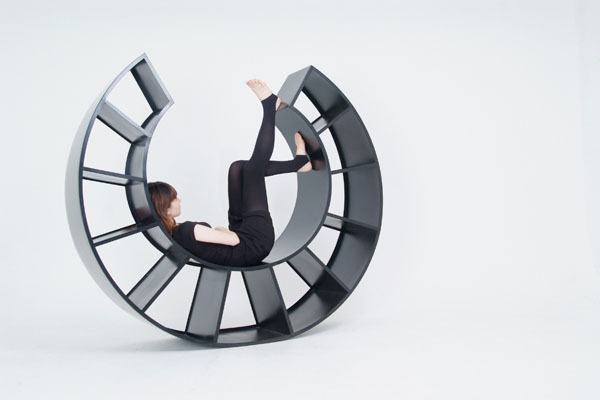 The Motion can also be used as a regular lounge chair. 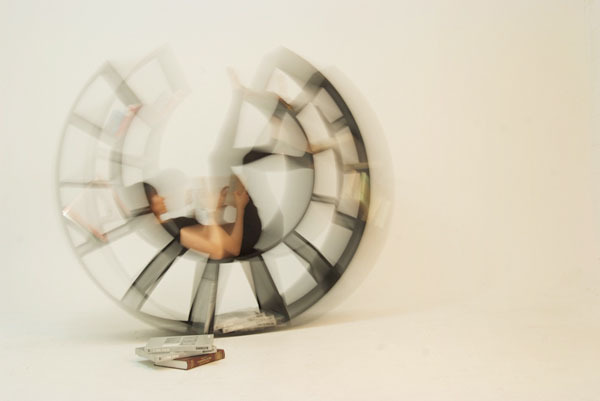 Space-saving The Motion bookshelf was designed by Hyunjin Seo of KamKam. The design is simple and yet stylish and multifunctional. But is it stable I wonder?